Xilinx 7-Series FPGAs and SoCs deliver power efficient, high-performance processing solutions for aerospace and defense, medical, scientific, oil and gas, financial, communications and life science applications. The parallelism and customizable architecture inherent in the FPGA architecture is ideal for high-throughput processing and software acceleration. These devices are built on a 28nm silicon process that introduces HKMG technology to maximize usable system performance through lower power. All Xilinx devices support long product lifecycles that mitigate obsolescence risk. These factors combine to allow HPC platforms based on Xilinx devices to deliver massive processing performance up to 2 TFLOPS, in a single chip, at a fraction of the power of GPUs and multi-core DSPs. Rapid prototyping with Xilinx delivers uncompromised reliability, Xilinx is known for, with the most raw compute power at the lowest power. Confidently go from concept to market with Xilinx compute acceleration solutions. Vivado HLS provides rapid prototyping design flow software applications developed in single or double precision C/C++. These applications can be compiled to efficient hardware implementations that can be programmed into Xilinx 28nm devices. Vivado HLS is includes as part of Vivado Design Suite: System Edition. Xilinx is currently working with early customers on a new system level, heterogeneous parallel programming environment that leverage abstractions such as C/C++ and Open Computing Language (OpenCL®), in a comprehensive Eclipse-based development environment. This environment provides market-specific libraries to significantly improve productivity of verified heterogeneous systems with Xilinx devices and is architected to empower system architects, SW application developers, and embedded designers who require a parallel architecture, to increase system performance, BOM cost reductions and total power reduction with development time in line with ASSP, DSPs, and GPUs. For more information about Xilinx software-based system realization, please contact your local sales team. 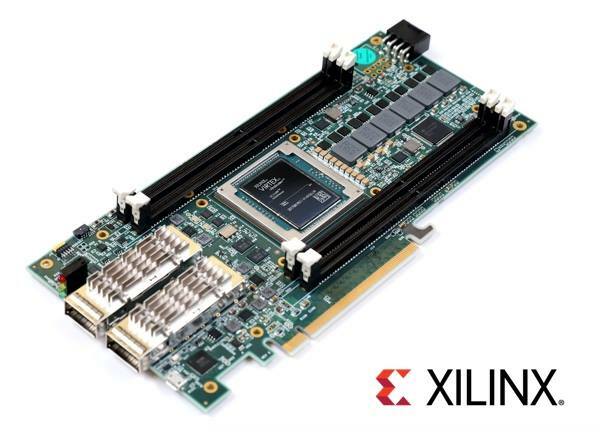 Xilinx serves the aerospace and defense industry with commercial, defense, and space grade system-level solutions that span industry-leading FPGA and SoC devices, advanced IP solutions, and the next generation of design tools. Our heritage has led to a deep understanding of our customers and the requirements to successfully implement and deploy the next generation of ground-based, airborne, and space-based applications. Continuous focus on this market enables Xilinx to reduce mission risk and system cost with our industry-leading solutions. Heritage in specialized defense-grade silicon products makes Xilinx the smart choice to meet the rigorous demands of rugged environments and military systems. Defense-grade devices include, amongst other things, extended temperature range and fully leaded (Pb) components in ruggedized packaging. Wireless networks are rapidly evolving into heterogeneous networks that employ many sizes or classes of basestation. In addition to macrocells, these networks now employ microcells, metrocells, picocells, and even femtocells. These different basestation classes must address different requirements. For macrocells and Cloud-RAN architectures, baseband and backhaul processing is separated from the radio using CPRI or OBSAI over fibre. Small cells lend themselves to far greater levels of integration where the backhaul, baseband and radio processing are typically combined into a single platform. 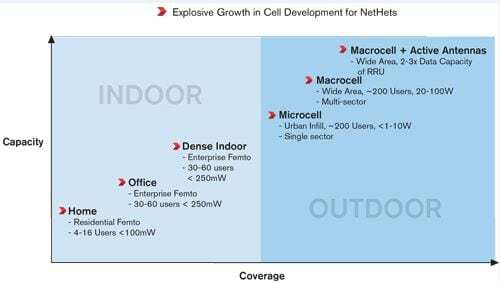 The requirements for small cells differ significantly based on throughput, signal bandwidth, power levels and user counts and in some cases can be implemented in a single device. Consequently, there’s been a real renaissance in basestation design and there’s a strong desire for the ability to reuse IP and algorithms among these various basestation designs wherever possible. From basestations to microwave backhaul, Xilinx is enabling faster, more cost-efficient wireless communications with solutions that help equipment manufacturers leapfrog their competition. Xilinx solutions include the Zynq®-7000 SoC in addition to a suite of SmartCOREs and LogiCORE™ IP that can be customized to optimally address your unique market needs. Xilinx Vivado™ Design Suite and the Communications Design Center provide a faster, more flexible means to go to market with greater differentiation, lower risk and lower total cost of ownership than alternative ASIC and ASSP solutions. Xilinx customers can work with a dedicated team of in-house wireless experts, from design specification to implementation, and have access to industry-leading hardware, a robust library of application software, IP, software, support, and design services.